On the morning of May 19, most members of the CCSU community had one thing on their minds: commencement. That quickly changed when President Zulma R. Toro alerted her staff that more than 800 Eversource utility workers and independent contractors would be staying on campus that night. Caught in a pinch by a lack of available hotel rooms booked because of weddings, graduations, and other seasonal events, Eversource officials reached out to Toro the night before to ask about staying on campus. Crews from around the country and Canada were pouring into the state to help restore power in towns devastated by a destructive storm system that tore through the state on May 15. Tornadoes and a macroburst hit parts of Danbury and nearby towns, snapping trees and power lines in half and causing widespread outages, property damage, and two deaths. Jean Alicandro, director of Residence Life, was at the XL Center with other staff volunteers preparing to welcome graduates and their families. Within minutes, she got on the phone to activate her staff, calling the only two area coordinators she had working over the summer. They, in turn, contacted students scheduled to work for summer conference staff who had been trained just a few days earlier. Meanwhile, Director of Facilities Management Sal Cintorino and Director of Support Services Steve VanVoorhis began work on facilities logistics. Students had vacated the dorms only three days before. Rooms still needed to be inspected for damage, cleaned, and turned over before the utility crews could stay in them. The surprise guests also would need key cards, linens, and toiletries. Cintorino coordinated with the key shop and card office, and VanVoorhis mobilized the custodial staff. A team from Eversource rushed to Costco and purchased enough sheets, pillows, blankets, and toiletries for 850 workers. They transported the goods in box trucks to CCSU, where they were met by Central shipping and receiving staff who distributed everything to the Mid-Campus, Sheridan, and Sam May residence halls. A multipurpose room at Mid-Campus was turned into a command center for distributing key cards and information. Recreation areas in the three dorms were opened to the workers for much-needed relaxation, and food service facilities were opened to allow caterers hired by Eversource from the Aqua Turf Club to provide workers with a hot breakfast, boxed lunch, and full dinner. The damage to the electric grid from the storm exceeded that of Hurricane Sandy. Nearly 2,000 poles had to be replaced and more than 300 miles of electric wire, according to Eversource spokesman Mitch Gross. 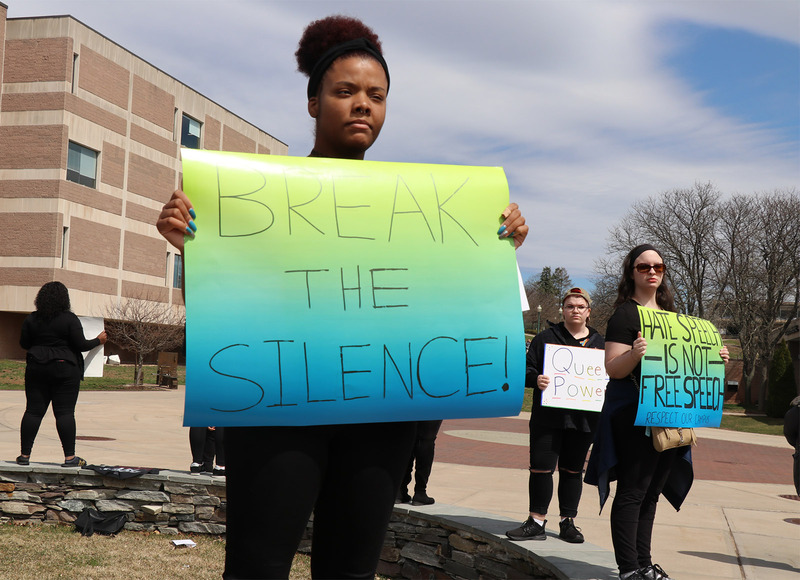 About 850 workers were housed at CCSU while another 150 stayed at Western Connecticut State University. They came from Canada, Michigan, North Carolina, Virginia, Vermont, and Rhode Island to help out with the restoration effort. Crews stayed on campus through Thursday. The linens and bedding purchased by Eversource were laundered and donated, along with unopened toiletries, to an assortment of New Britain and Greater Hartford nonprofit organizations and municipal agencies. Recipients include the Friendship Center, a nonprofit organization in New Britain that provides emergency shelter and transitional housing services to homeless men, women, and families; Family Promise of Central Connecticut; the City of New Britain Youth and Family Services; the Prudence Crandall Center; Refugee Advocacy Services; and The Hartford Catholic Worker. Toro said the effort is just the latest example of Central’s commitment to serving the community.